On Amazon.com you can now buy this 不锈钢厨用剪刀, KitchenAid Stainless Steel Kitchen Shears with Soft Grip Handles in Storm Gray for just $5.99 – lowest price! These kitchen shears feature a comfort grip handle, stainless steel blades, and a plastic bladed guard for protection. 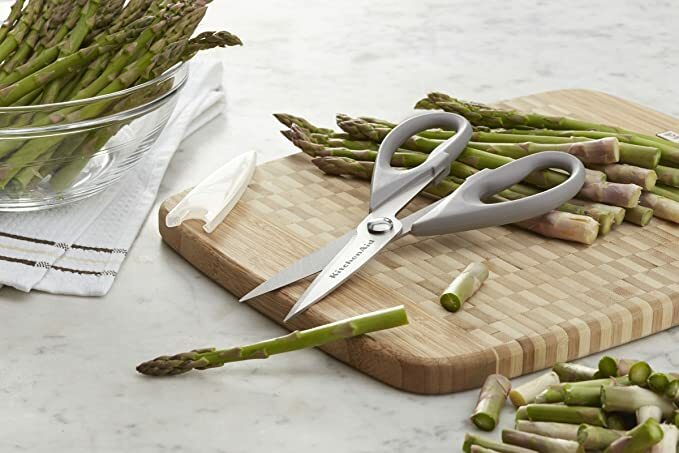 Use these shears to cut veggies, meat, bread and more!